EDDM Training is always in constant movement, updating itself to offer the specific training courses required by the increasingly demanding technological sectors. 3D printing is within this category of new technologies that are strongly demanded and lacking in training, one that EDDM has been filling for the last 7 years. First with courses included in our aeronautical design program, MEDMA and then with the MIFA master format, the first in 3D printing masters degree at European level and now with our specialized courses that fit the needs of each student. Currently, biomedical engineering is one of the niches of greater development of 3D printing due to its particular characteristics of personalization, complexity and size. The Expert Course in Biomedical 3D Printing Course of EDDM Training addresses the implementation of 3D printing in the medical sector from the integration of engineering with medicine, with the help of experienced professionals who travel from all over the country to teach our students. The sectors that make use use of this technology within medical specializations are many, ranging from dentistry and dental prostheses, surgeries of bone and maxillofacial defects, 3D printing for orthopedics and traumatology, tissue engineering and 3D bio printing and more. The clinical cases that will support in this technology in the future will have no limits. Within the course of 3D bio printing for the medical sector students will learn about design in biomechanics, making 3D models and anatomical replicas from DICOM medical tests, how to manufacture cutting guides as support for the programming of surgeries, materials, processes and bio printing of living tissues. Continuing with the strategy of having the best experts in the teaching staff, the course will have professionals with proven experience, such as Juan Carlos Piquero Camblor of Proindec, Pedro Martínez Seijas, specialist in oral and maxillofacial surgery at HM Hospitals, Jesús Corbacho Redondo, CEO of Eureqa3D, Carlos Atienza of the Institute of Biomechanics of Valencia, Gorka Gómez Ciriza of the Hospital Virgen del Rocío and Nieves Cubo Mateo, researcher and scientific disseminator of the CSIC specialized in 3D bio-printing. 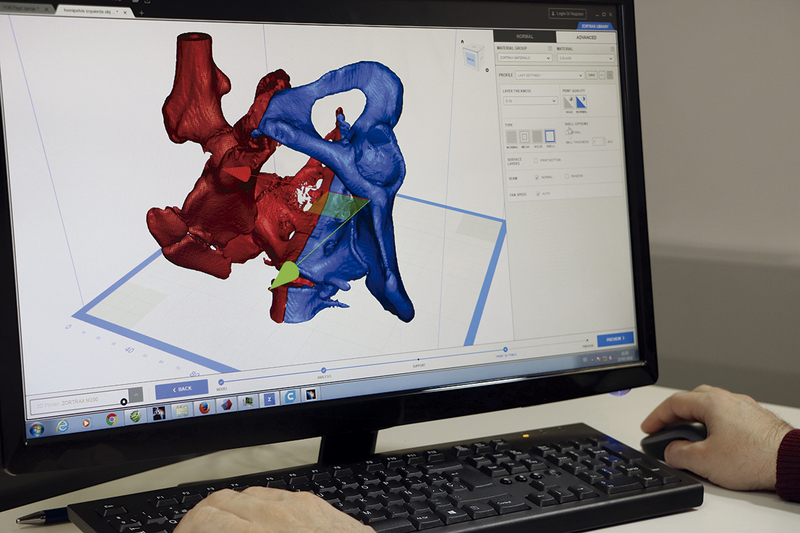 The Expert Course in Biomedical 3D Printing promises to be a reference course in the medical field and pioneer in its kind, covering all the novelties that are taking place in the 3D biomedical sector. Together with the Professional Course in 3D Printing and the other expert courses that precede it, 3D printing for product design, calculation of structures and 3D printing in metal, EDDM Training’s students will become experts in professional 3D printing.